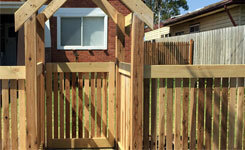 We build and install various timber gate designs based on your requirements. 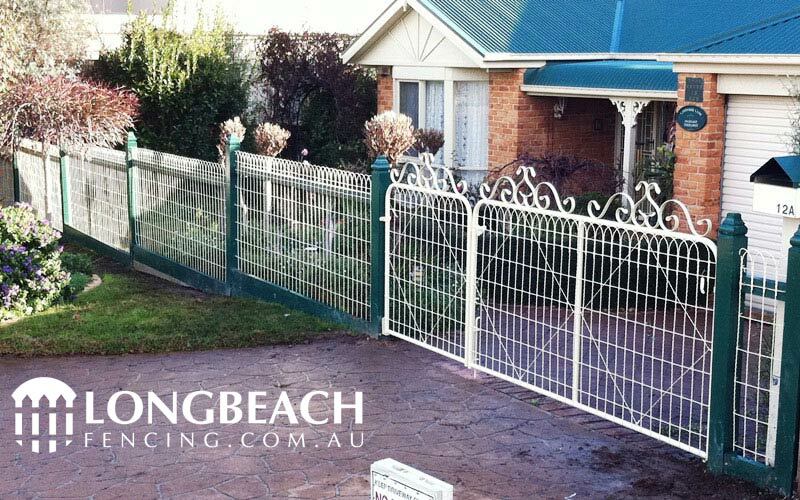 Whether you’re wanting to compliment your new timber fence with a single swinging gate, looking to add extra security to your home with an automatic sliding gate, or just need to stop the animals from escaping with a garden gate, we can install any type of gate to suit your needs. 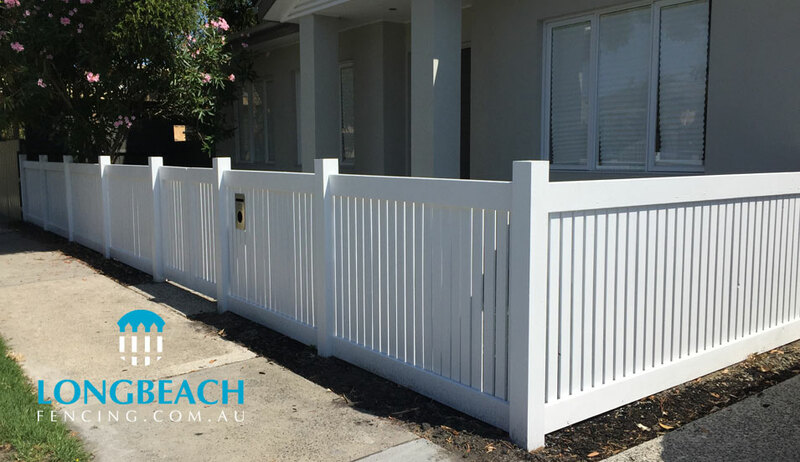 Constructed using galvanized steel, our gates are solid, sturdy, long lasting, and will complement any type of timber from your standard treated fence paling’s through to a more featured look using merbau decking or cypress pickets. We construct and install heavy-duty sliding driveway gates that can be manually operated or opened and closed automatically using a remote control. Vertical cypress pine single entrance swing gate. Fitted with handle and capping. 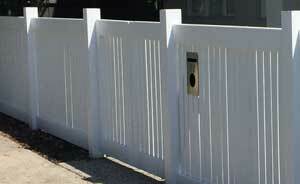 Cypress pine rebated picket fencing and double swing gate. 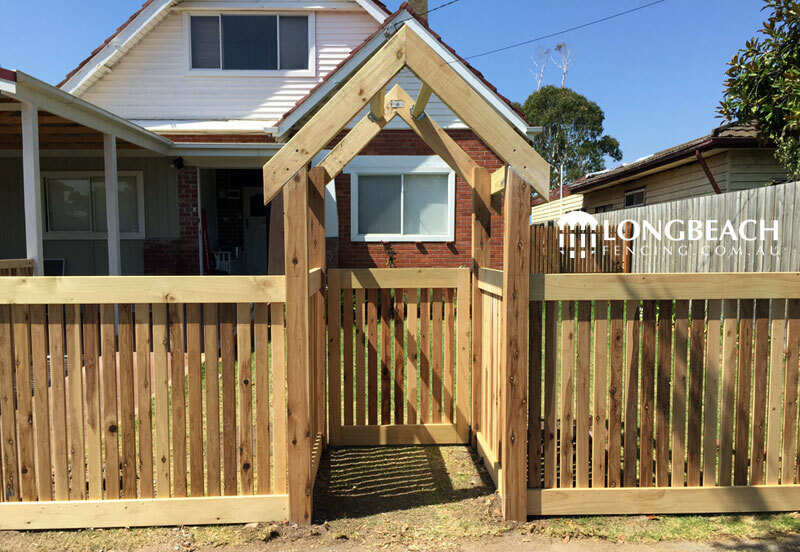 Single swing gate constructed using cypress pine pickets & timber frame. Stepped woven wire fencing with Windsor post capitals. 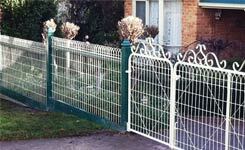 Ornamental single & double driveway gates.